This is a simple RS232 to RS485 converter that is self powered using the TX, RX or RTS, CTS signals for power. The RS232 is DB9 female connector, and the RS422 side is a DB9 male or 4 position terminal block. 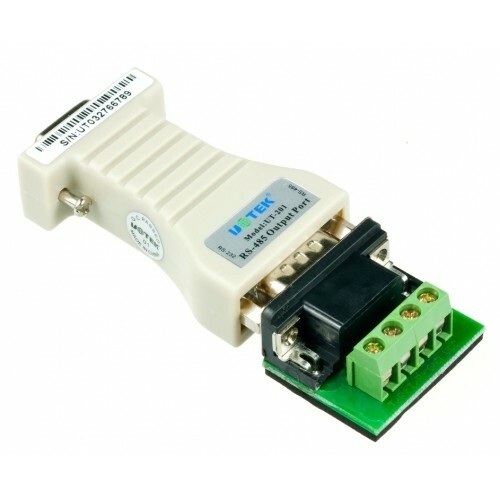 It is able to convert RS232 signal to RS485 balanced differential signal and extend the communication distance to 1.2km. NOTE: This product has a maximum quantity of 1. It is passive and doesn't require external power.